Zenfone 3 Zoom is a promoted version of the original 2015 Zenfone Zoom. The phone comes with a 5.5 inches AMOLED touchscreen display, 12MP primary camera, and 4GB RAM. The system runs on Android Marshmallow and is upgradable to Nougat (7.1.1). Check out the 10 best cases for Zenfone 3 Zoom in this list below! This case by Zldeco’s is available in silver, black, and gold colors and is exclusively designed for Zenfone 3 Zoom. The case itself is made from aluminum metal frame and polycarbonate back. Precise cutouts allow easy access to all control buttons, ports, and cameras. It is made shock and shatterproof and protects your phone from scratches, scrapes, bumps, and debris accumulation. The package comes with a complimentary tempered glass. This is a hard plastic back cover case made sleek and light-weight that adds no bulk to your phone. The surface uses salient point design that makes the unit wear-resistant, anti-skid, dust-proof, anti-fingerprint, and easy to clean. The premium quality polycarbonate does not break or bend easily, and the dustless UV coating technology provides a comfortable sense of touch. Precise cutouts offer access to all ports and functionalities. Open mold design with precise function holes provides an ergonomic user experience. This is a back cover case manufactured from a hard plastic material. Ideal for those who want to maintain the phone’s look and feel without adding much bulk. This cover protects your phone from dust, scratches, smudges, and shocks. It is surface coated with leather-like pleather for the leathery appearance. Precisely cut openings allow full access to all the functions of your phone. Made perfectly compatible with Zenfone 3 Zoom, this case is made from environment friendly thermoplastic urethane that offers fool-proof protection to your smartphone. It is made sleek, compact, and precise cutouts allow access to all the cables and controls easily, without removing the case. The premium TPU gel protects against drops, scratches, dust, and daily wear. A zinc alloy ring stand allows for following case positions: Move free, Stand firm: 360-degree, 180-degree two-dimension rotation, and Freestyle position. The package comes with an anti-shatter screen defender. Made of light-weight and flexible thermoplastic urethane, this is a compact and ultra-clear back cover case; ideal for those who want to maintain the phone’s original look and feel. The buttons are specifically designed for a natural and responsive feel. The raised bezels protect your camera from scratches while keeping your flash fully functional. Shock absorbent and scratch resistant gel material protect your phone from all those daily bumps and scrapes. Transparent color enhances the original look of your phone without making it bulky. Made from premium quality and ultra-slim PU leather, this is a flip cover case by Feitenn, featuring a silicone window that allows you to answer calls and view notifications without opening the flap of the case. The case surrounds all the edges and covers the whole phone. Your phone snaps in the clamshell and is covered with a soft fabric lining on the interior of the flap that precludes scratch and scrapes from housing on the device’s display. The step-less stand allows for hands-free and landscape viewing. Precise cutouts are made for all the phone’s functionalities. 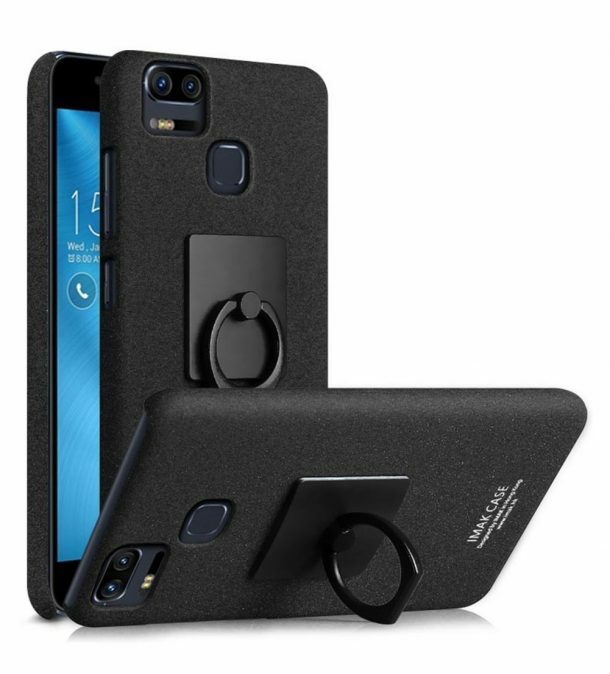 This is an incredibly stylish back cover case that comes with a ring stand and screen defender. It is form-fitted to ensure an exact fit. The accurately molded hard polycarbonate makes the unit incredibly compact and pocket-friendly. Open buttons are comfortable to click and provide quick accessibility. Easy installation of this case protects your phone in seconds while giving it a modish look. This is a form-fitted polycarbonate case that keeps the phone ultra-slim and lightweight. The salient point design keeps the unit anti-slip, dust-proof, anti-fingerprint, wear-resistant, and offers an excellent grip. Open access design promises easy click response and quick accessibility. Made feather light, ultra-compact, and pocket-friendly. An exceptional choice! This is an ultra-clear TPU case made of a transparent polycarbonate hard back cover which is fused with semi-flexible TPU bumpers. The exact cutouts allow access to all phone’s functionalities. The TPU defends against scratches and accumulation of dust, debris, or smudges on your device. Designed with high-quality standards in mind, this case is an appealing and simple way to protect your phone. Keep your phone modish and fully protected with this defender by JD that provides easy access to all the phone’s functionalities. The unit is made anti-slip and offers excellent handling feel. It covers the back, edges, and corners of your phone well and prevents the housing of dust, debris, smudges, and scratches on your device. The case will neither pale nor fade.